Why should I Buy Cloud Mining? I started selling mining contracts so that bitcoin could be more accessible. 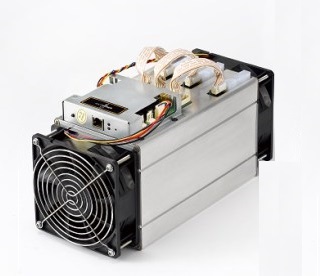 Typically, getting involved in bitcoin mining requires significant upfront costs or long term commitments. Here, you don't need to worry about electricity costs, noisy fans, cooling your units, or keeping them maintained. Parts break, dust builds up, software gets corrupted, etc. I think you might be getting the idea! We have many options for those looking to directly share the rewards in order to cut costs down, with the goal of both supporting the bitcoin network and minting new bitcoins for you. Currently, Plattsburgh BTC offers 64 TH at various speed allocations starting at 250 GH, operating near lake Champlain in upstate NY (seen in the picture above). We strive to exceed your expectations on every order. New to mining? Don't fret! Check out this page for some additional information on how it works, and don't hesitate to contact me directly if you're unsure. I'd recommend getting a little acquitted with how bitcoin operates. Additionally, with our Share Distribution system, all I need from you is a bitcoin wallet. I suggest setting one up at blockchain.info if you don't have one. They have handy mobile apps that work great too. And yes, Bitcoin is accepted! Keep the transaction fee and save 5% when you purchase with bitcoin. After a purchase, your share will be placed into the current round while my rig mines for you. It's as easy as that. In addition, your purchase helps me keep my full node online, and helps keep the little guys afloat! It's very simple: You rent out a portion of our rig, and a percentage of the earnings that are allocated to you on a month to month basis is paid out to your wallet. No strings attached. It's as simple as that, we cover the transaction fees and there are no other hidden fees. You will receive weekly payments on Mondays until your month is up. We started in 2015, and to be honest we couldn't continue to operate if we were dishonest! We strive to be as transparent as possible. For example, we use a public mining pool, Kano.is (we are not associated with them in any way), and using information from their website anyone can indipendently verify that our calculations are both correct and honest. In addition, we offer a plethora of information in our Share Distribution page and send a detailed earnings report every week. We tell you like it is, and try to be as transparent as possible. We're crypto enthusiasts and want to see it grow in popularity, and we hope to earn your trust and that you'll come to us in the future! Things happen: for whatever reason a payout could (very rarely) be delayed. We pledge that all customer earnings will be sent, as we have done for 3 years. +99.8% of payouts have been sent out on time. We reserve the right to cancel suspicious orders. There is a potential for fraud here so please understand that we have to be vigilant. If you're an honest customer you don't need to worry about this! But if your order is wrongfully cancelled, please contact us and we'll straighten things out! On that note, we currently have a $40/mo purchase limit for first time customers for the first 2 months when using a credit card. This can be lifted by completing this identity verification. There are no limits when purchasing in bitcoin. Orders that don't meet the requirements will be refunded. Consider that the transaction is final once the first payout has occurred. There will be no refunds after the first payout has been received by the customer. Refunds are available for pending contracts only, up to 30 days after purchase. At the moment, the Plattsburgh BTC rig runs at about 115 TH/s +/- 10%. We use 8 Antminer S3's, each operating around 450 GH/s, 7 Antminer S7's at about 4800-5200 GH each, and 6 Antminer S9's, each at about 13,000 GH. The rig is located in Plattsburgh, NY, about an hour south of Montreal. Miners are kept in a cool environment, with the added benefit of being located in a pretty cold area. Air-conditioning is used through the summer. Regularly scheduled maintenance and remote surveillance so machines are always running optimally. Redundant internet connection through Charter Cable and Prime link (a local fiberoptic company). Everything is hardwired to reduce ping. The municipal electric here in Plattsburgh offers cheap electric, in fact some of the cheapest in the US. Power outages are rare. Some of the power is provided by onsite hydroelectric dams, but I don't know the specifics on this. I currently run two separate nodes to keep the network secure and to send distributions. In 2017, we reached our electric capacity and it was necessary to either build out a new location find a bigger one. We were able to find one by partnering with Coin Citadel, and in the near future we plan to move into other cryptocurrencies, especially ETH. Over the summer of 2018 we plan on investing heavily on next-gen equipment as we settle into the new space.